Twenty years on from his debut studio album Colin James’ reputation as one of Canada’s finest blues musicians seems as strong as it ever was. On Miles to Go, his 19th album, James reconnects with The Blues as he did on 2016s Blue Highways and furthers his homage with this ambitious release. In preparation for Miles to Go, James reacquainted himself with the model of guitar he played as a teenager (a cherry red Gibson ES-335) but far from being a guitar dominated album, the opening track ‘One More Mile’ is awash with harmonica and sweet, punchy, stabbing brass – a promising sign of things to come. Like it’s predecessor Miles to Go is mainly a collection of cover versions which James’ states are his way of ‘paying forward’ the enjoyment the blues has given him. He is also refreshingly honest in admitting that writing original, quality blues music in the modern age is deceptively hard. That said, the two original tracks on the album: ‘I Will Remain’ and ’40 Light Years’ are by far the most enjoyable and left this listener wondering why James’ didn’t take his time and instead present an album of his own music. ‘I Will Remain’ has a familiar slow-blues feel and James’ soulful vocal and the perfectly executed arrangement of piano and organ help to make this track a fine example of modern blues song-writing. Unlike so much slow-blues it bows out at just over 3 minutes and at the point where most songs of this ilk start running out of ideas, it ends – prompting the listener to reach for the repeat button. A great track. James’ own ’40 Light Years’ seems to have graduated from the JJ Cale school of laid-back country-blues. With a mellow but assured swing it’s engaging tale of an insurmountable (emotional?) distance between lovers is punctuated by some superb harmonica playing. The guitar break at the half-way point confirms James’ tasteful touch. 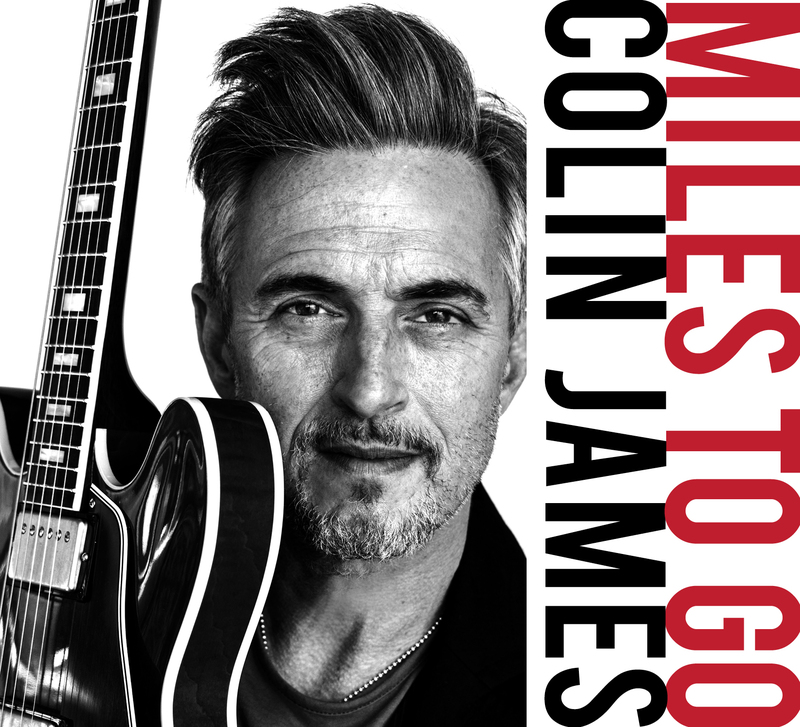 There is no doubt Colin James can write quality blues songs, it’s a shame there aren’t more to enjoy on Miles to Go. Essentially this is an album of polished blues covers that Colin James hopes he has interpreted and arranged with sufficient skill to float them over the mark and into people’s good books. Has he achieved that? Partially. Most tracks are respectful and tasteful ‘reimagining’s’ and a few show excellent touches. For example, Blind Willie Johnson’s ‘Soul of a Man’ innovates, with its close vocal harmonies and mystery percussion. But overall Miles to Go is somewhat unbalanced considering the quality of the original material present. One wonders if Colin James’ reputation and ‘The Blues’ in general might be better served by more of his excellent song-writing. Miles To Go is worth a listen and as a stand-alone piece of work it’s well executed – even if it’s conception is rather muddled.